Simore DualSim adapter Infinite Light is the latest generation intelligent device enabling you to install two SIM cards in one standard SIM format mobile phone. This dual SIM card adapter was designed for users looking for a product that combines simplicity and efficiency. The dual SIM Card adapter Infinite Light V8.0 has a simplified version of software. This new software directly affects the memory used and results in a net reduction in power consumption of your mobile. 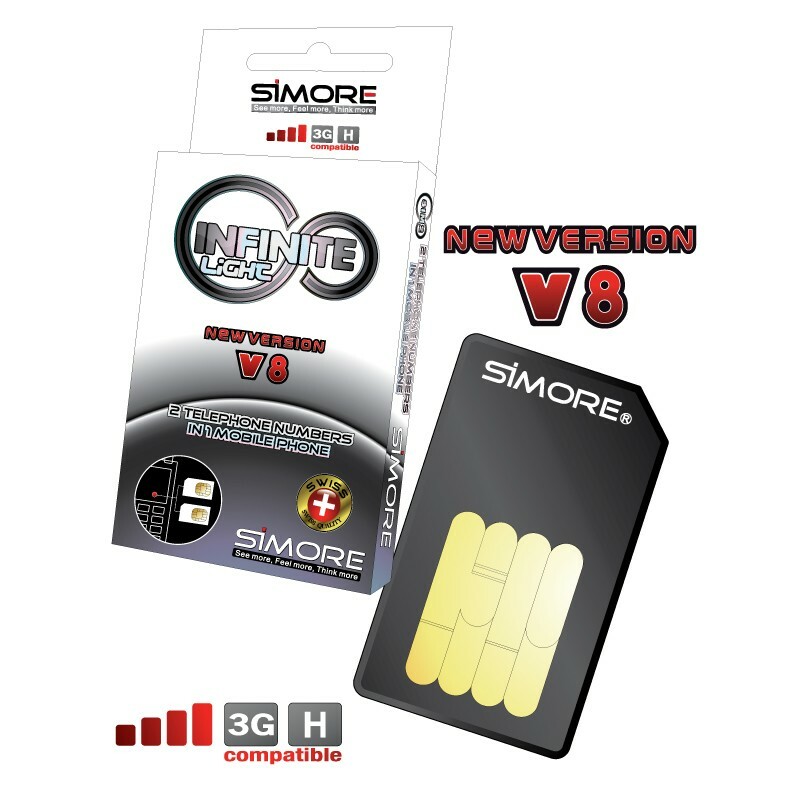 The Simore Infinite Light V8.0 membrane is equipped with "Bullet Injection" technology which optimizes the contact points between the SIM cards and the Simore DualSim Infinite device, ensuring an optimum connection. The DualSim card system Infinite Light version requires the cutting of your SIM cards. Our system is reversible. We provide in every pack two recovery tools that enable you to restore your SIM cards to their original form and place each of them into two separate phones. Swap a SIM card to another with great rapidity and simplicity. New software directly affects the memory used and results in a net reduction in power consumption of your mobile.